I love to read just about anything I can put my hands on. 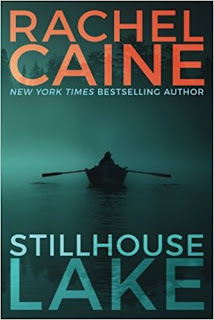 When I first saw Stillhouse Lake by Rachel Caine, I thought it looked interesting, but I second guessed that decision when I read the other books she had written. It seemed like she wrote young adult, vampire fantasy books. After the debacle that was Twilight, I was concerned. However, after starting to read this book, I glad I stuck with my initial, gut feeling on it. This was an amazing book that I couldn’t put down, even to sleep. I finished it the same evening I started reading it. Gina Royal is an unassuming housewife with two children at the beginning of the novel. As she is driving home with her kids, she encounters police and fire officials at her house. After a freak accident at her home, her life is suddenly turned upside down, and she must start her life over with a new identity in a new town. No matter how careful she is, she must be ever vigilant. Under a new name, Gwen Proctor, she has moved her children to a remote house on a remote lake, Stillhouse Lake. Despite the time and distance, she keeps a wary eye on the internet forums and stalkers who blame her for the crimes perpetrated by her ex-husband. Just when she starts to feel comfortable in her new life, her past comes crashing in with a vengeance. Who can she trust? Can she trust anyone? This book kept me guessing right up to the last sentence of the book. There were moments while reading this that I actually felt my heart beating harder. The continuing development of the characters leads the reader in several misdirections. Every time you think you have the antagonist figured out, Rachel Caine sends a reminder that she’s in charge. The fact that she kept me guessing throughout 300 pages makes this book a winner for me. Gwen Proctor is simultaneously a lovable and hated character. She is brilliantly paranoid, which saves her life, and she is still looking for stability for her family. Her constant paranoia is a bit grating, but in the end, it serves her well. The budding relationships she forms with people in her new hometown seem organic and realistic, with ups and down. There are moments that for every step forward she takes two back. I love the realism of this character’s life. No life path is ever a straight endeavor. If you’re looking for a book that will keep you up late at night and wondering what’s next for Gwen. The pace is fast. The action is furious. At the end of the book and you’re ready to close the chapter on Gwen Proctor, we learn that this is just the first book of the series. This news was almost as exciting as the action in this book. I cannot wait to check out Killman Creek from the library. 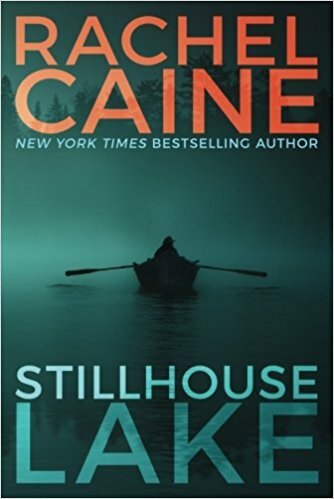 In the meantime, take the opportunity to read Stillhouse Lake. It’s definitely worth the sleepless night. Craig Bacon is always on the lookout for a new book series to read. He thinks he may have just found one. I wonder how many books there will be…..